A compact self contained studio situated over the top rear addition floor of this period house. 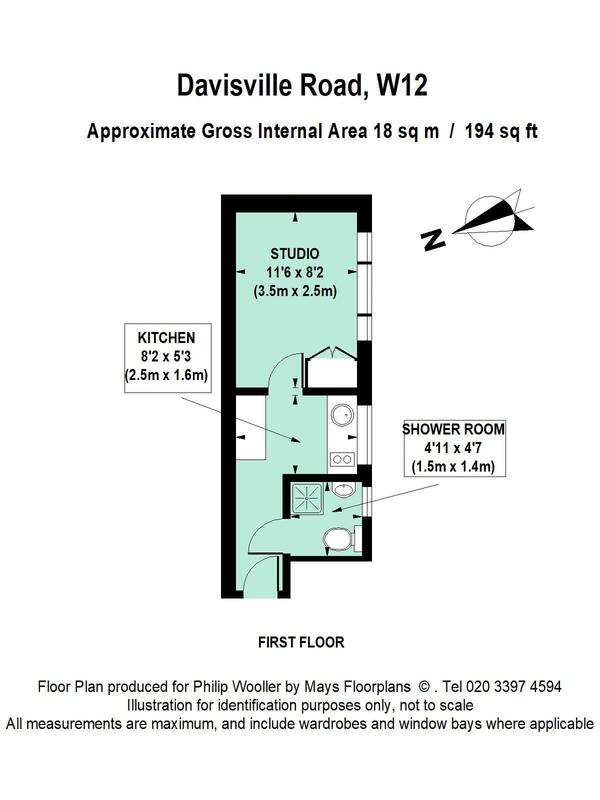 The flat offers a basic open plan kitchen and shower room with studio room with open southerly aspect. Quietly situated at the northern end of Davisville Road, Askew Road's local shops and restaurants are minutes away, as are both Wendell and Ravenscourt Parks. This increasingly popular area offers a family orientated community with numerous good schools and of course the shopping and transports hubs of Hammersmith and Westfield. 194 sq ft / 18 sq m approx.